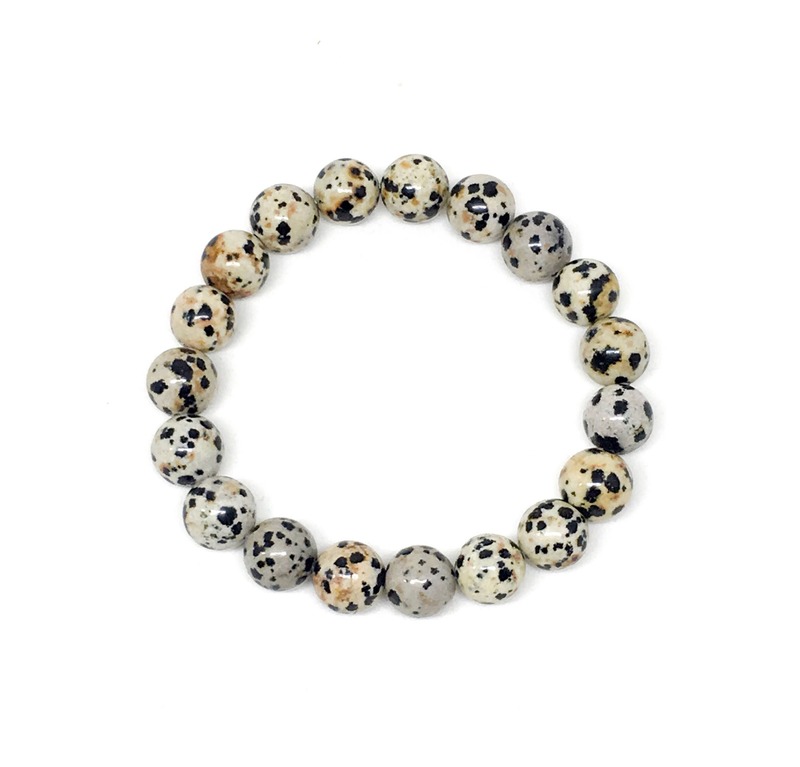 Beautiful bracelet made with 10mm Dalmatian Jasper. Wear alone or pair them with other matching bracelets. This beautiful beaded bracelet comes in a customized Sill Suede jewelry pouch with our logo.